The holidays are quickly approaching, and I love giving homemade gifts. How about whipping up some amazing Bubbly Bath Salts. They make perfect holidays gifts. along with a washcloth, and tie with a ribbon. with the relaxing muscle power of bath salts. Stir the soap, oils, and food coloring together. Evenly pour over the salt, and stir until the salt is evenly coated. Spread bath salt out in a thin layer on a cookie sheet covered with wax paper, and allow it to air dry overnight. Pack into a glass container of your choice. To use, pour ¼ cup of the salt under running water while drawing a bath. Relax in the tub and enjoy! 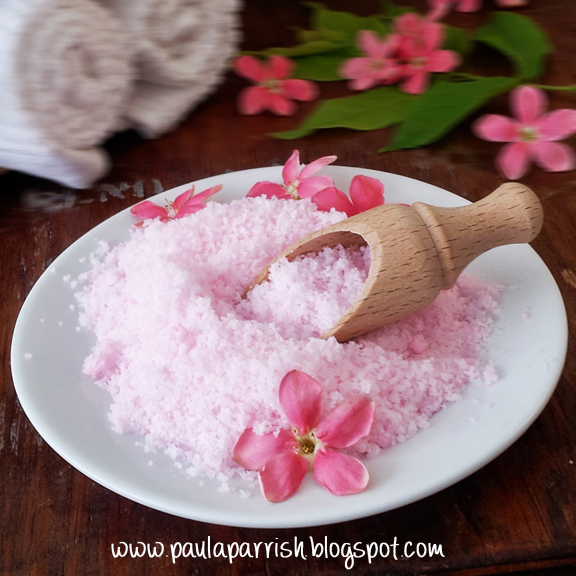 Bathing with bath salts stimulates circulation, and hydrates your skin. Use mini jars, create a fun pack of three bath salts in different scents. 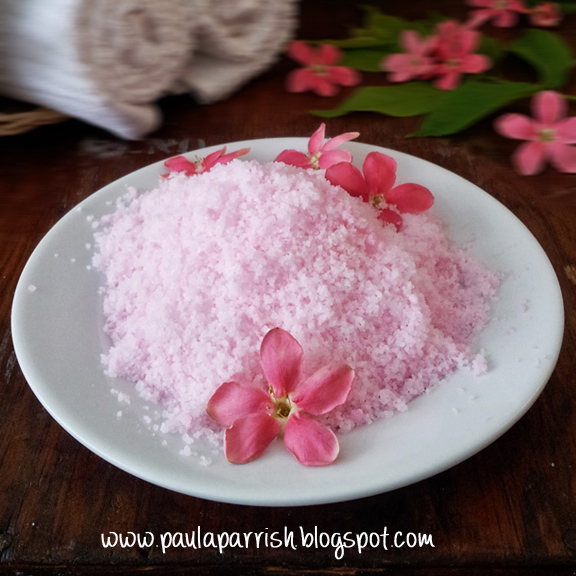 Bath salts can open your pores to purify your skin, cleansing away dirt, sweat, and unwanted toxins. Enjoy the full benefits of the aromatherapy powers of essential oils. Make some lavender bath salt to relax and ease nervous tension. to stop by my little piece of the internet. I hope that you enjoyed your visit and will stop back by often. Remember, I would love to hear from you, so leave me a comment below. I could so make this. It would be a fabulous Christmas gift. Thanks forr the recipe! such a neat gift idea! 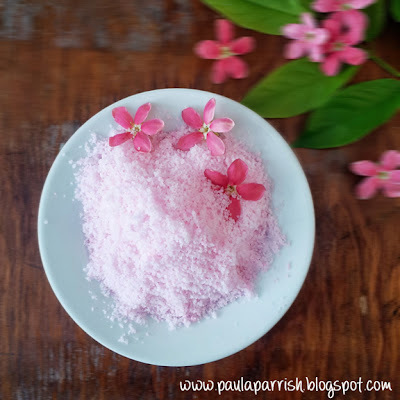 Very pretty way to present these bath salts. The lavender sounds great to me. Any special kind of liquid soap you are using? Can I substitute Epson salt for the kosher salt? Hello I am having trouble finding kosher salt here in the UK, is there another type of salt or another name for the salt that can be used? Also, what type of liquid soap do you suggest? Thanks! Feel free to use Sea Salt in replace of the Kosher Salt. I would recommend that you use an organic vegetable based castile liquid soap. Thank for visiting my blog.